So, it has been nearly a year since my last post. So much for new years resolutions. Well, to be honest, I have been holding true to my writing objectives, or as close as I can in between working on films. However, the networking and business side of my work has been EXTREMELY lacklustre. This has been one of my busiest sound editing work years. So that has put a dent in my progress, but that is no excuse. Really, I’m still trying to come to terms with what I’m supposed to be doing with a blog. Its a tricky process to go through when you feel like you’re not really blogging for anyone. Like you’re going through the motions of a bizarre play where there is no audience. And yet I must press on! Learning through trial an error. As my manuscript goes through draft upon draft, likewise, my understanding of the publishing industry go through shifts and turns. It feels at times like I’m writing an overly formal journal, where I can’t really be 100% honest with myself. I’m still suffering a fear of putting myself out there and calling myself an author when I’m not actually published. Well all that has changed now, I have in the last few months had 2 short stories published in 2 anthologies! 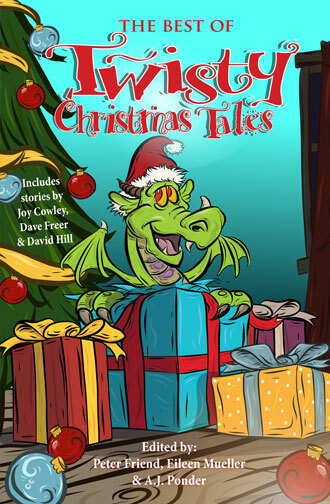 A horror short story and a Children’s Christmas story. So, no excuses now! Time to get moving with my business and make more of an effort to engage with other writers and share in their achievements. Only through working with others, interaction and participation will I learn what this journey of mine is actually about. Networking above all else is the key to refining one’s art. Only by sharing with others can we really discover what we have to offer. I’ve learnt this through the years building up my network to establish myself as a sound editor, so I know big things come from small steps and that reaching out to help others and to share in a community is where it all begins.